Professor Gifford Miller, a fellow at the University of Colorado (CU) Boulder's Institute of Arctic and Alpine Research, found that the Little Ice Age, which began somewhere between A.D. 1275 and 1300, was caused by repeated, explosive volcanism and was sustained by a self-perpetuating sea ice-ocean feedback system in the North Atlantic Ocean. 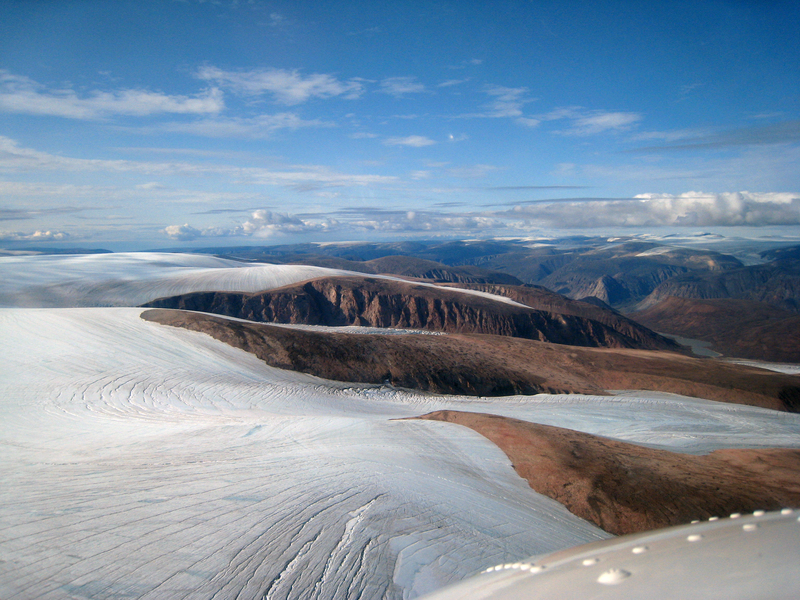 To reach these findings, Miller, who received funding from the National Science Foundation (NSF), and his team radiocarbon dated dead vegetation that they collected from rapidly melting icecaps on Baffin Island, as well as collect ice and sediment core data from the poles and Iceland and used sea ice climate model simulations. Existing theories as to the cause of the Little Ice Age include decreased summer solar radiation, erupting volcanoes that cooled the planet by ejecting shiny aerosol particles that reflected sunlight back into space, or a combination of both. But Miller's study suggests that an unusual, 50-year-long episode of four massive tropical volcanic eruptions brought the onset of the Little Ice Age. Climate models produced by Miller and his team showed the persistence of cold summers following the eruptions is best explained by a sea ice-ocean feedback system that originated in the North Atlantic. "This is the first time anyone has clearly identified the specific onset of the cold times marking the start of the Little Ice Age," said Miller. "We also have provided an understandable climate feedback system that explains how this cold period could be sustained for a long period of time. If the climate system is hit again and again by cold conditions over a relatively short period -- in this case, from volcanic eruptions -- there appears to be a cumulative cooling effect." The team also collected around 150 samples of dead plant material with the roots still intact that were gathered from beneath receding ice margins of ice caps on Baffin Island. The samples were radiocarbon dated, the results of which showed a large cluster of "kill dates" between A.D. 1275 and 1300, indicating the plants had been frozen and engulfed by ice during a relatively sudden event. 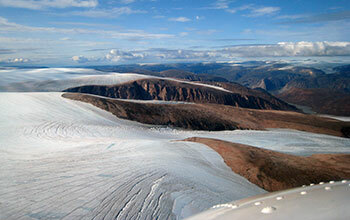 Both low-lying and higher altitude species of plants all died at roughly the same time, indicating the onset of the Little Ice Age on Baffin Island was sudden. The researchers also analyzed sediment cores taken from a glacial lake linked to the 367 square-mile Langj�kull ice cap, located in the central highlands of Iceland and reaching nearly a mile high. The researchers found that around the late 13th century, and again in the 15th century, the annual layers in the cores suddenly became thicker (the cores can be reliably dated by using tephra deposits from known historic volcanic eruptions on Iceland going back more than 1,000 years). Miller says this was due to increased erosion caused by the expansion of the ice cap as the climate cooled. [Note: The field research in Arctic Canada was funded by NSF's Office of Polar Programs (OPP) (grants ARC 07-14074 and ARC 04-54662), the climate modeling was funded by NSF and NCAR computer time, and the field research in Iceland was funded jointly by the Icelandic Science Foundation (RANNIS) and OPP. To read more about this research, see the CU news story New CU-led study may answer long-standing questions about enigmatic Little Ice Age.